Happy New Year everyone. I hope 2015 is a great year for you, whatever targets or ambitions you have set. In common with many runners, the turn of the year means that I have started thinking seriously about the training ahead for my spring marathon (Manchester in April) and my Ultra – Comrades in May. I intend to follow the same basic formula as last year – aim to run 50+ miles per week during January, increasing this to 60+ during February and March. Given the impending ultra, I will have to run some extended longer runs – including a few over marathon distance. I plan to run more medium long runs of around 12 – 15 miles by running the long way home when I do a run commute to work. I had a lovely family Christmas Day – it started with Roundhay parkrun, then Christmas drinks hosted by Hannah and Andy from Valley Striders, then a few pints in the pub followed by a meal at a local Indian restaurant. There’s a lot to be said for eating out on Christmas Day, it removes a lot of stress and means that everyone can relax. On Boxing Day, I took my 16 year old nephew Sam to my apartment in France for a few days skiing. It was his Christmas present. Being a devout Yorkshireman, I recoiled at the prices of car hire and flights to Geneva airport over Christmas (Geneva is a 2 hour drive from the apartment), so I scoured the web and saved around £500 by taking Ryanair flights from Manchester to Milan Bergamo. It gave me enormous satisfaction! The drive from Bergamo was about 3 and a half hours and we arrived at 1.00 a.m., parking up and then immediately collapsing into bed, eager to get out skiing the following day. There was not a flake of snow on the ground when I parked the car. Things changed somewhat overnight. I could barely believe the scene as I awoke at around 8 a.m. There had been a huge snowstorm overnight, dumping over a metre of snow – I could no longer see the car! The car park was just a series of big white lumps in the snow. We were so lucky to get there with no problem. Later it transpired that many people were trapped in the snowstorm, many having to spend the following night in emergency shelters or even worse, in their cars. The heavy snow meant that all lifts were closed and it was not safe to ski, so I spent the day digging the car out with a washing up bowl – I had no shovel. Later, I introduced Sam to one of my heroes – Larry David – and we watched ten episodes of ‘Curb Your Enthusiasm’ on DVD back to back, followed by Godfather II. Sam loved it. Luckily, we had two great days skiing, despite it being unimaginably cold. It was lower than -20°C at the top, feeling ten degrees colder with wind-chill. We had to wear just about every piece of clothing we had brought. I returned to Blighty with an inevitable cold, so I didn’t feel like running too far. However, I did run a parkrun double on New Year’s Day – tackling Woodhouse Moor parkrun at 9 a.m. and Temple Newsam at 10 a.m.
Because of my cold, I intended to drive between the two, but as I parked up I bumped into Hannah from Valley Striders who said there was a group of Striders attempting to run the 5.2 miles between the two parkruns and I should do the same. Unsure if it was a wise thing to attempt, I reluctantly agreed. We ran the first parkrun as a group, aiming for around 21 minutes or slightly quicker and with me pacing we ran it in about 20:30. After a quick barcode scan (sorry for pushing forward in the queue! ), we set off for the 5.2 mile run across Leeds to Temple Newsam, not 100% certain of the best route. There were a few other hardy souls attempting the run double and we ended up following John Robson from St Theresa’s who clearly knew exactly where he was going. It was quite a hard tempo type run and we made the start at Temple Newsam with about 2 minutes to spare. I was pretty knackered by this time, so I jogged around the second parkrun in a steady 24 minutes, chatting with my team-mates. Just two days later, it was Saturday and parkrun day again and although I still felt chesty and was coughing up gunk, I gave it a go and was pleased to run 18:40, feeling that I had run hard, but I had left a little in the tank. 2015 was a good year at work and I was lucky enough to get both a little bonus and a £100 John Lewis voucher for Christmas. Contrary to my innate Yorkshireness, I have been spending some it on a few treats for myself. Towards the end of last year, I felt that I let my diet slip. I generally ate really well before the Manchester marathon last year – lots of vegetables and no pasta, rice, bread or potatoes whenever I was home cooking. Disappointingly, later in the year, I felt continually drawn to the vending machine at work in the afternoons. Unfortunately, the machine doesn’t sell any fresh fruit or nuts. It does, however, have a great stock of Kit Kats and Yorkies, and I sinned – often. 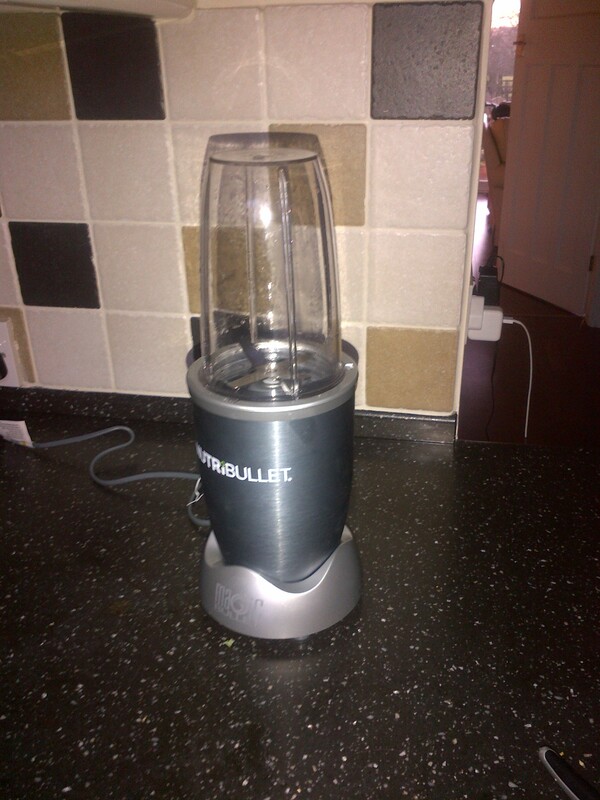 A Nutri-Bullet. It’s basically a juicer on steroids – unlike normal juicers, you don’t need to peel anything and you can add in other stuff like nuts and seeds. Its also a doddle to clean afterwards. They recommend that you put in a handful of green leafy stuff – I use Kale or Spinach, then add fruits of your choice – say apple, blueberries or banana and then nuts or seeds. I usually add flaxseed, ginger and a handful of walnuts. You add a bit of water and then whizz it for about 20 seconds. You can also make a breakfast ‘thickie’ by adding porridge oats. It takes a bit of experimenting to find the correct recipes, but so far, I’m really delighted with it and I’m using it twice a day. 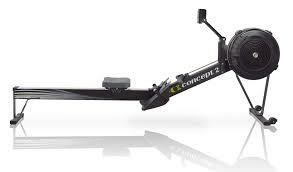 A Concept 2 rower. It arrives on Wednesday. Although I guess I am pretty fit in a cardio vascular sense, I think my fitness is somewhat one dimensional. I could certainly do with improving my strength. I really cannot stand gyms – they are peculiarly depressing places and a little piece of my soul dies every time I visit a gym – however, I do like rowing. Back when I was a fairly serious cricketer about 15 years ago, I had terrible problems with severe back pain – it took years to diagnose correctly. After a few visits to the British Swimming team physio, she told me I had muscle imbalances in my core, causing some muscles to spasm and cause my episodes of back pain. After a year of Pilates, my back problems were cured (and nothing since thankfully) and I maintained my core strength by using the rower at the gym. I got quite good and improved my 2000 metre time down to 7 minutes 15 seconds – not too bad for a skinny guy. I feel my core strength is again quite poor, so I am hoping to row for about 15 minutes per day, just steadily at first, in order to improve it. Hopefully it will also build up my leg strength and improve my running also.